This gorgeous building is centrally located and beautifully maintained. 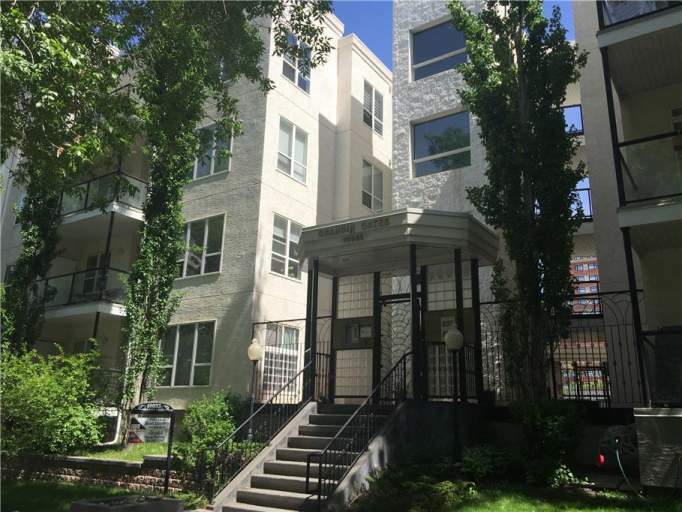 Enjoy walking distance to the famous Jasper Avenue and the Grandin LRT station!! Truly the perfect location! The suite itself features gorgeous tile and carpet flooring with large windows filling the entire unit with natural light. The open concept living room features a gas fireplace and great view of 109th St! Plus enjoy the expansive balcony with natural gas hookup, perfect for the coming summer months! The huge kitchen offers a ton of cupboard space along with its full size fridge, stove, microwave and even dishwasher!! Down the hallway you'll find two spacious bedrooms, the master featuring a walk in closet! Not to mention the large bathroom with a tub shower, and large utility closet with your own washer and dryer! No more sharing! The unit includes one underground parking stall. But with everything you need in walking distance, you wont need to drive anywhere! !